East Passyunk Avenue, just outside Black 'n Brew. 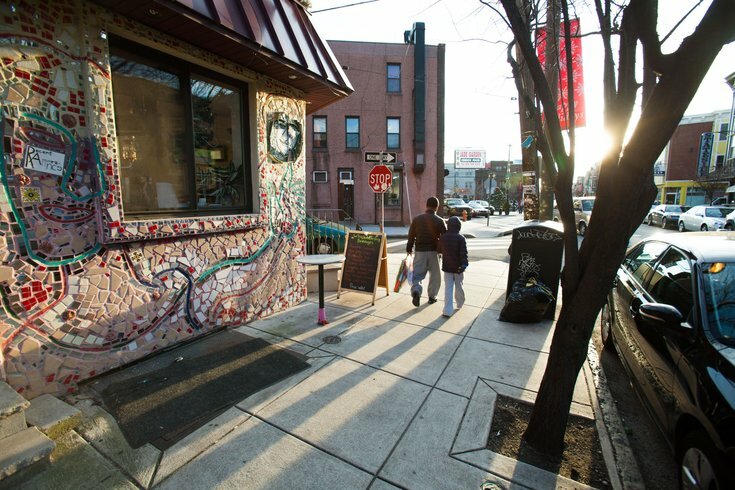 On the second Saturday of each month, East Passyunk hosts a shopping event where neighborhood stores give out discounts and hold sales. For February, the monthly event happens to take place over Valentine's Day weekend, which is perfect for last-minute shoppers. While browsing through the stores, there will be free refreshments, live music, art openings and other entertainment. • A Man's Image -- Take 40-75 percent off winter merchandise, like sweaters, corduroy pants, coats, wool and cashmere, from 11:30 a.m. to 7 p.m.
• Baum's Dancewear -- Enjoy 15 percent off pink, red and white items from 10 a.m. to 5 p.m.
• Chhaya Cafe -- Watch a fashion show at 7 p.m. and enjoy live music by Ultra Kings and Full Blown Cherry at 8 p.m. There will be free beer and coffee cocktails. • Frame Fatale -- There will be 20 percent off all custom framing orders all weekend. • Metro Men's Clothing - Take 15 percent off all spring merchandise, 70 percent off winter clearance and receive $20 off every $100 spent. Plus, there will be complimentary cocktails for shoppers from 11:30 a.m. to 8 p.m.
• Nice Things Handmade - Head to an anniversary party and the opening of the Valentine's Day-inspired "Why I Love Philly" art show. • Sermania Jewelry - Sterling silver rings, select diamond rings, earrings and pendants will all be on sale. The store will also be stocked with custom-made LOVE pendants for $45 and $75. Sweet treats to nibble on while shopping will be on hand from 10 a.m. to 5 p.m., as well. If you're still in need of an idea for what to get your Valentine, check out PhillyVoice's Valentine's Day Gift Guide or find something for your friends and family on this list for the holiday.